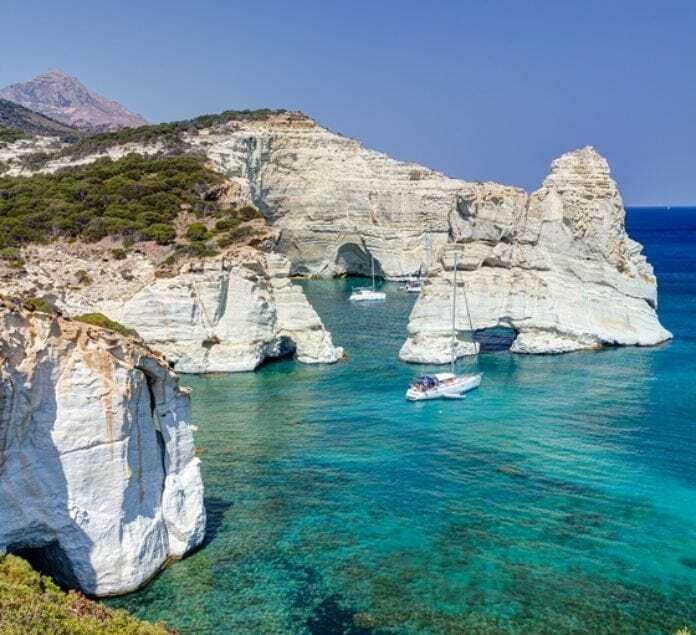 Whether you are looking to see the ancient Greek ruins or relax on the best beaches of the Greek islands, there is plenty for everyone in Greece. Here is your ultimate guide to island hopping in Greece for the summer of 2018. Crete is Greece’s largest island and has many resorts and family orientated hotels with water parks. It is also an island seeped in ancient culture for those wishing to visit pristine ancient ruins, such as Knossos which is the largest Bronze Age archaeological site and Europe’s oldest city. The beaches on Crete are amazing and you will even find some with pink sand. Really, you don’t have to look far to find something for the whole family to be entertained with on this island – not to mention, well fed, since Cretan dishes are as amazing as the island and people living there. The beaches on Corfu island are with both sand or pebbles, so depending on what you are looking for, there are options. Also at Sidari beach on the north coast the water is more shallow and warmer, great for family vacations. Also, check out Kérkyra old town is the perfect way to get to know the island and its many charms. Why not spend the afternoon strolling the streets of this Unesco landmark with its pastel-colored buildings complete with Venetian-style shutters? Another holiday attraction for the active at heart is that on the island there in an abundance of trails for hiking. The Corfu Trail which crosses from one side of the island to the other is the place to hike. You can find many reasonably priced hotels to stay at on the island as well, making it a perfect destination for your island-hopping adventure. 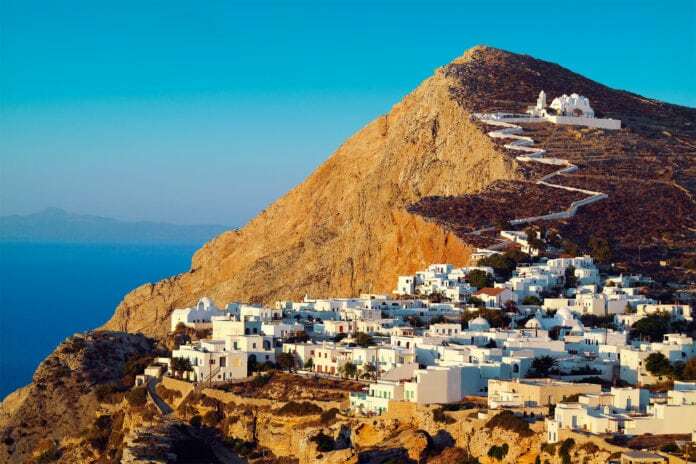 Folegandros is a small, quiet Greek island that remains virtually unknown to tourists. Only an hour by high-speed boat form the popular island of Santorini, Folegandros is for those who are looking to experience a more simple and unforgettable Greek experience. You can get to Folegandros via the ferry line Piraeus – Milos – Santorini, or by ferries or hydrofoils to Paros, Mykonos, Ios and Sikinos. Known for its unspoilt landscapes, Folegandros was named after the son of King Minos. There are only three small villages on the island. The main village, Hora, is filled with houses painted in white with multi-colored doors and windows high in the cliff above the blue sea. There are quaint squares and tavernas, so visitors will not run out of things to do when they are not enjoying the beautiful beaches – which are practically empty. The other two villages, Karavostasi (the port) and Ano Meria are all connected by paved roads to Hora. You can also explore walking the narrow cobblestone streets throughout the village or take the 15-minute walk up a zigzag pathway to the Church of Panagia. The church is thought to be built on the site of an ancient temple and although the original date of the construction of the church is unknown, it was renovated back in 1687 and again in 1821. This is an island that you don’t want to miss. So, be sure to include it in your Ionian island hopping itinerary. 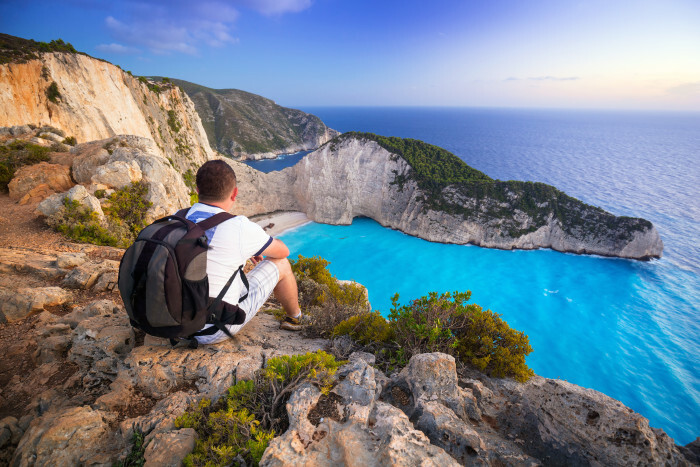 Take a day trip to the amazing shipwreck beach, Navagio, where the dramatic cliffs and white sand beaches will transport you and your family to a paradise unlike any other. Not to mention you can get the best selfie ever. One of the most popular Ionian islands, Lefakda is known for its beautiful beaches and outdoor sports. This island is one of Greece’s top ranking places for water sports. If you are island hopping with your siblings, cousins, aunts, uncles, or maybe even your sporty and active parents, check out the large marina at Lefkaka Town for yachting and Vasiliki Bay in the south which is exposed to local thermal winds, and boasts many water sports activities. From surfing to kayaking, there is something for everyone. When you think of Mykonos you think of one of the most popular party islands of the Greek islands. The truth of the matter is that it is also one of the most adorned islands with traditionally styled churches and charming little chapels, which is a nice way to pass the time on a family vacation to the island. Of course, you can always opt to choose the party route as well – and Mykonos will not disappoint. There are tons of beach-side bars and clubs to keep you occupied all day and night. When you want amazing selfies and unforgettable memories, travel to the Greek island of Milos. The volcanic island has an incredible moonscape in various colors of red, brown and white rock formations that spill into the deep turquoise sea. There are also traditional fishing villages and mountain villages to explore around the island and some must see places include the ancient theater, catacombs and windmills in Tripiti. You will also want to explore the islands endless coves, which are accessible by a fishing boat tour. 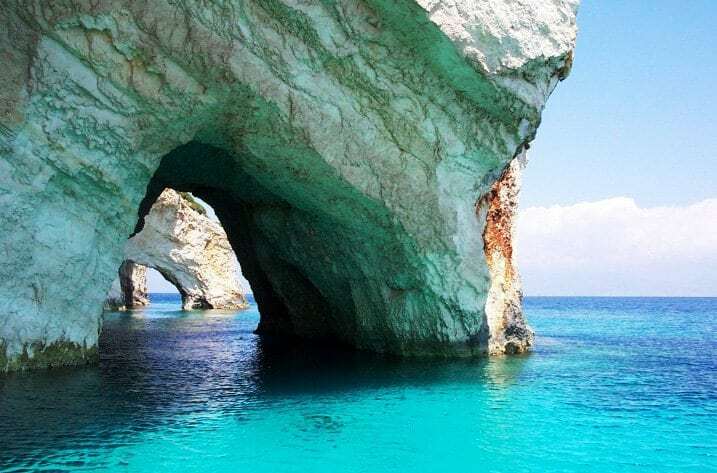 Alonissos is a charming Greek island and is the quietest of the Sporades islands, which includes the more well-known islands of Skopelos and Skiathos. The island has quaint villages filled with stone-roofed cottages, green lush slopes with fragrant pine forests and beautiful beaches. 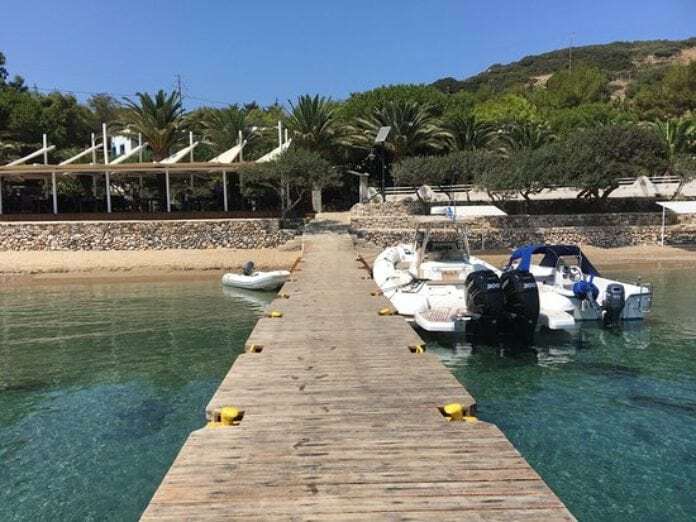 Another great plus to going to this island, besides avoiding overcrowded tourists destinations, is that you can take a boat trip from Patitiri harbor to Greece’s first National Marine Park where you can see dolphins and seals in their natural habitat. Of course, you can always take a ferry to visit Skopelos which is a 30 minute trip from Alonissos. You can see Delos, a UNESCO World Heritage site, from the shores of Mykonos, and the beauty of the island and its surroundings inspire all who visit – but do you know the legendary myth of the sacred island? It is one of the most important mythological, historical and archaeological sites in all of Greece. 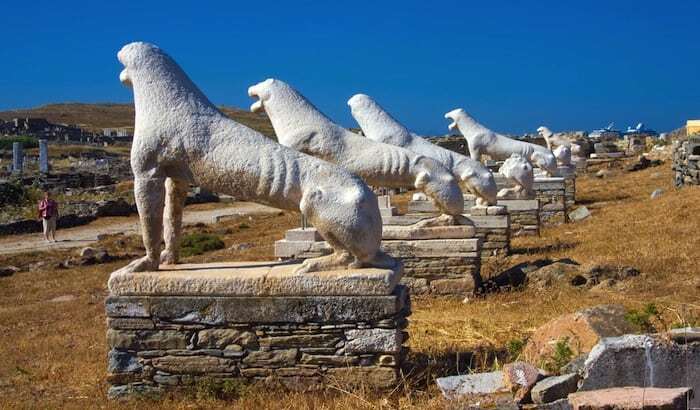 There are extensive excavations on the island, revealing ruins that tell tales of Delos as a holy sanctuary, dating back over a millennium before Greek mythology named it as the birthplace of the Greek gods, Apollo (God of Light) and his twin sister Artemis (Goddess of Hunting). This is the island to visit when you want total seclusion from the rest of the world and to return to the natural beauty of unspoiled Greece. Marathi has only five inhabitants. This enchanting island is only 355 square kilometers located east of Patmos and has an untouched coastline of four kilometers. It was inhabited by the Emilianos family back in 1977, who created a small hotel and restaurant for visitors who stop by the island during the summer months. 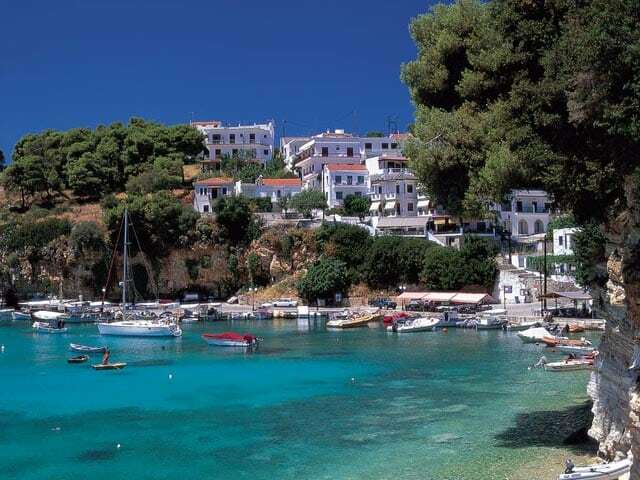 Truly stunning beaches and quaint villages is what you will find on the Greek island of Irakleia. Irakleia is an island with a population of only 141 inhabitants and is perfect for tourists wishing to explore nature and history. 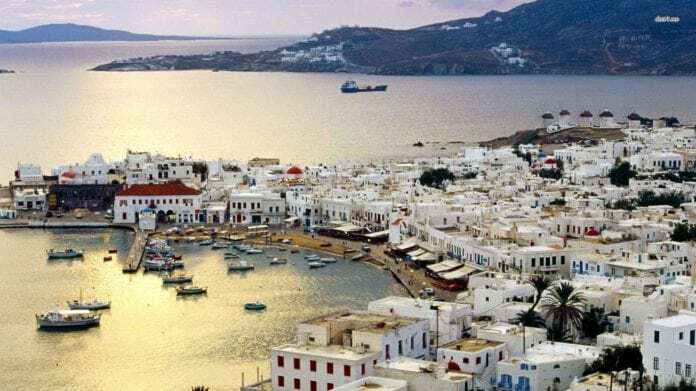 The island is 17.795 square kilometers and it is located between the islands of Naxos and Ios and can be reached by ferries from Athens, Naxos and Paros. This small island may have only just over 100 inhabitants, but it has something really big — the biggest caves in the Cyclades. Besides this, the island has a rich history and has been inhabited from early antiquity as evidence of many mysterious rock paintings on the island date back to some 5,000 years. Want to visit a small island? 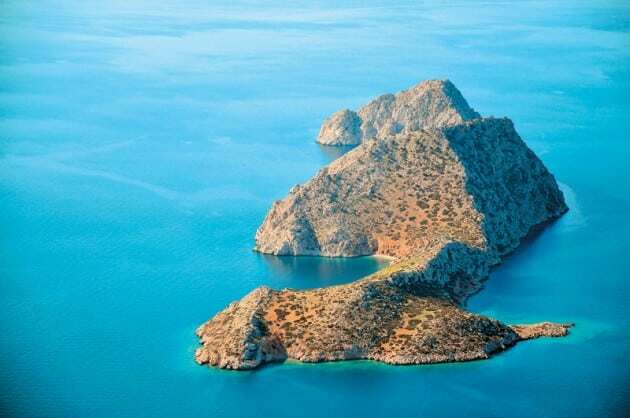 Check out the island of Donousa which has only 167 inhabitants and an area of 13.75 square kilometers. Donousa is located between Naxos and Amorgos and is one of the smallest islands in the Cyclades. It can be reached by ferry from Piraeus or with a local boat from Naxos or Amorgos. This island might be seeing some extra traffic as it recently made the list for Forbes 2018 Top 8 most beautiful beaches. 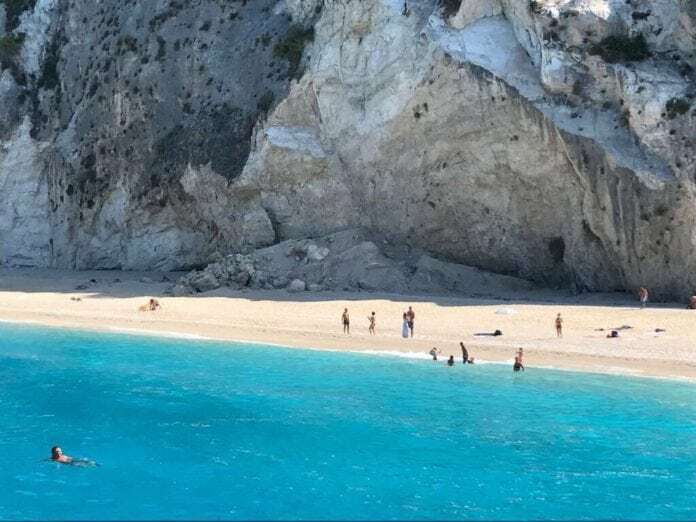 Donousa is a less visited island than many of the more popular destinations in the Cyclades, but with white sandy beaches like Kedros, it easily made the top 8 list. 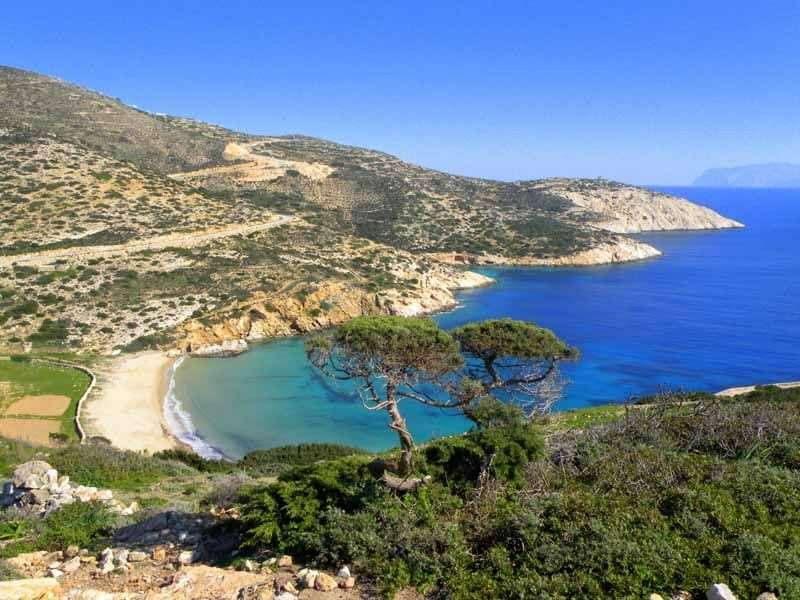 Relax on a secluded beach and escape all the tourists this summer by visiting the Greek island of Agathonisi.This small island is located in the northernmost point of the Dodecanese in Greece. A 1920s census showed that the island had only 80 inhabitants at that time, most of whom were farmers and shepherds. Nowadays, there are 185 inhabitants on the 13.5 square kilometer island. Many people come here for the secluded beaches, and to visit the two quaint villages on the island called Megalo Chorio, or “Big Village,” and Mikro Chorio, meaning “Small Village.” The Municipality of Agathonisi includes an archipelago of uninhabited offshore islets including Glaros, Kouneli, Nera, and Psathonisio.